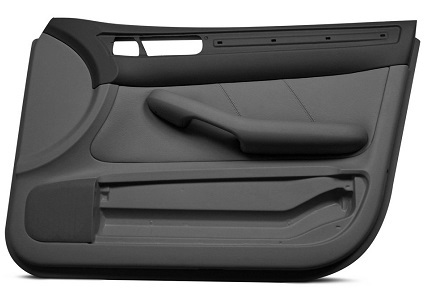 Compression moulding is a cost effective production way for processing high strength and light weight composites material. 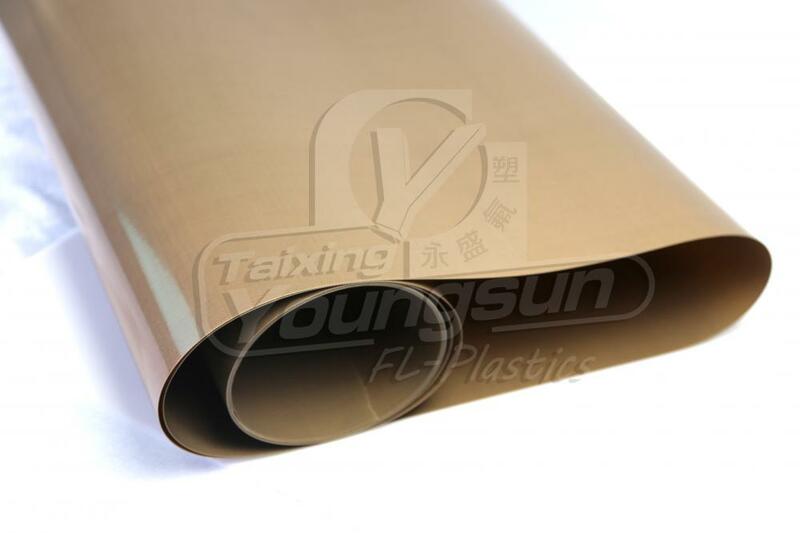 ESONE PTFE coated fiber glass cloth is a heat resistant release sheet and release belt for compression moulding, it is used as a processing aid during bonding, converting and shaping material into composite parts. ESONE non stick PTFE release sheet and release belt can be made into any sizes to fit every type of machines. 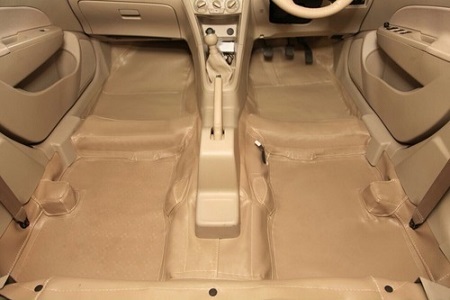 Our belt can offer different types of joints or guidable edges. And the surface of ESONE release sheet or belt can be excellent smooth, or textured, or one side smooth and one side textured. 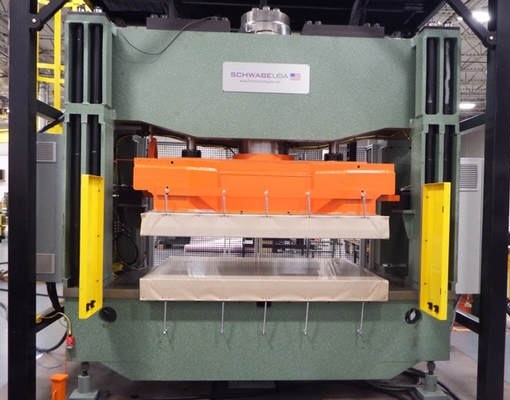 During the process of compression molding, heat and high pressure is applied to the reinforced material and resins, they will be bonded into composite material for the further shaping, curing, cooling and other processing. 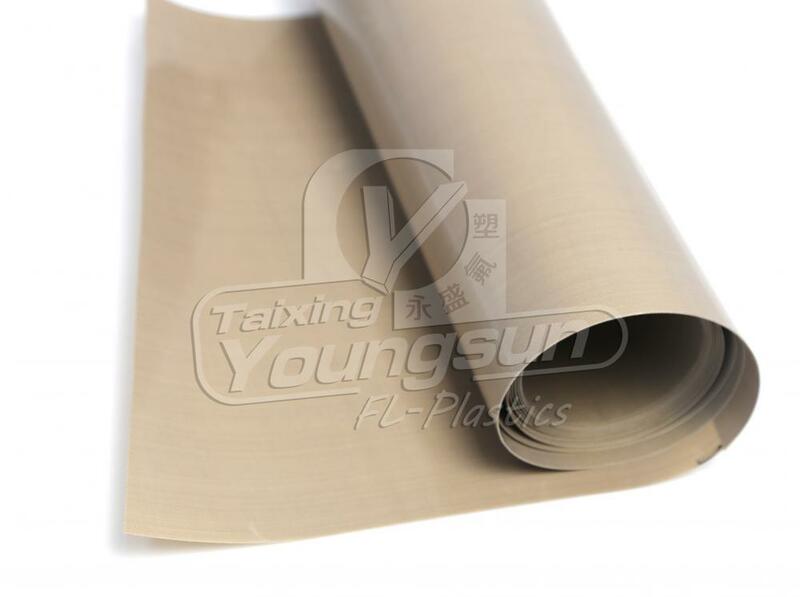 ESONE excellent non stick PTFE coated fiber glass cloth YS9030AJ allows for easy release from mould in the continuous operation. 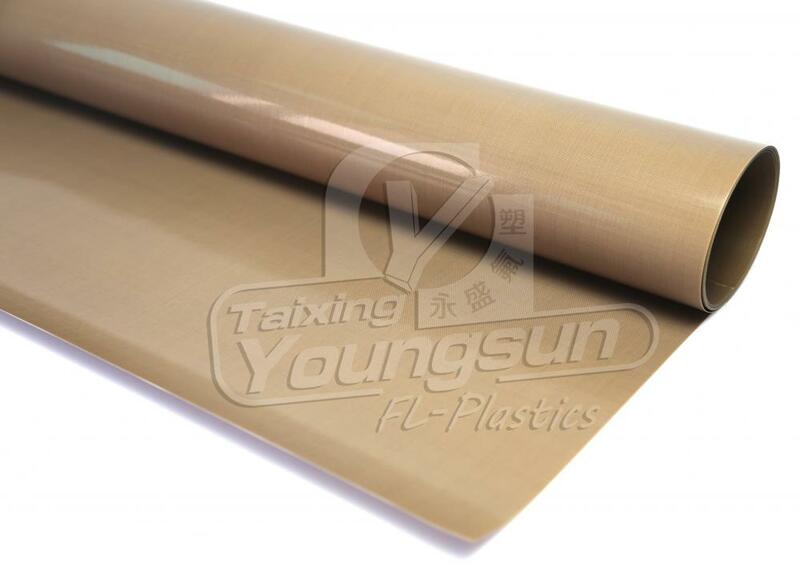 This easy and long lasting release eliminates the need of using release agent, and maximize the production capacity. 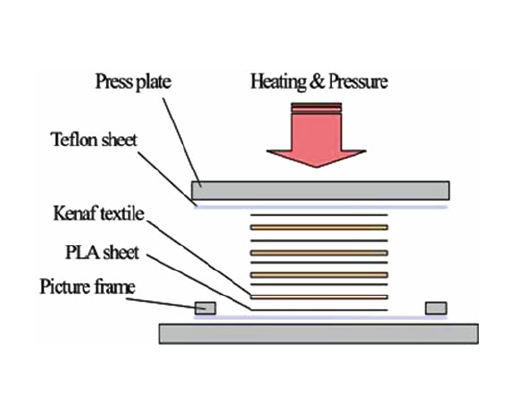 And due to the high mechanical strength and dimensional stability of ESONE Teflon Fabric, ESONE's release belt will ensure the high quality of finished composite even in a high temperature and pressure working environment. What can be made by ESONE release sheet? 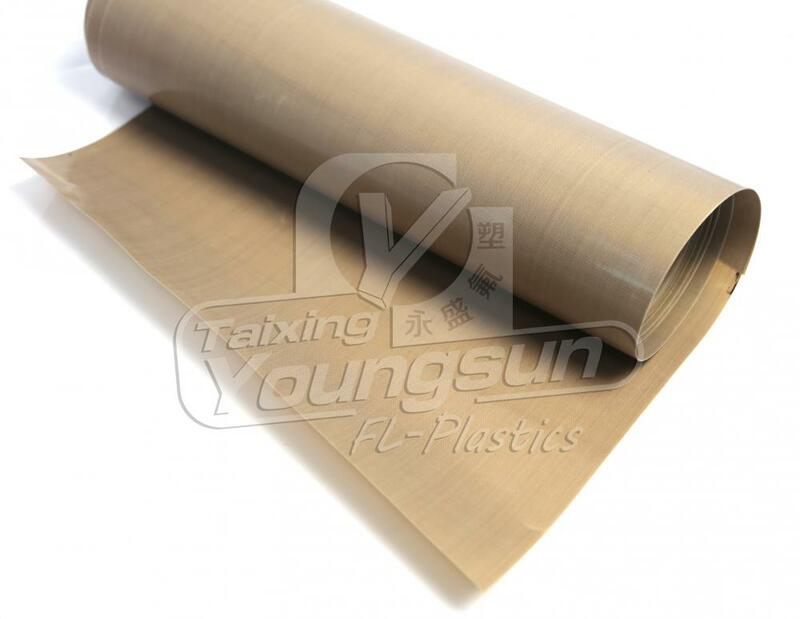 Looking for ideal Ptfe Coated Fiber Glass Cloth Manufacturer & supplier ? We have a wide selection at great prices to help you get creative. 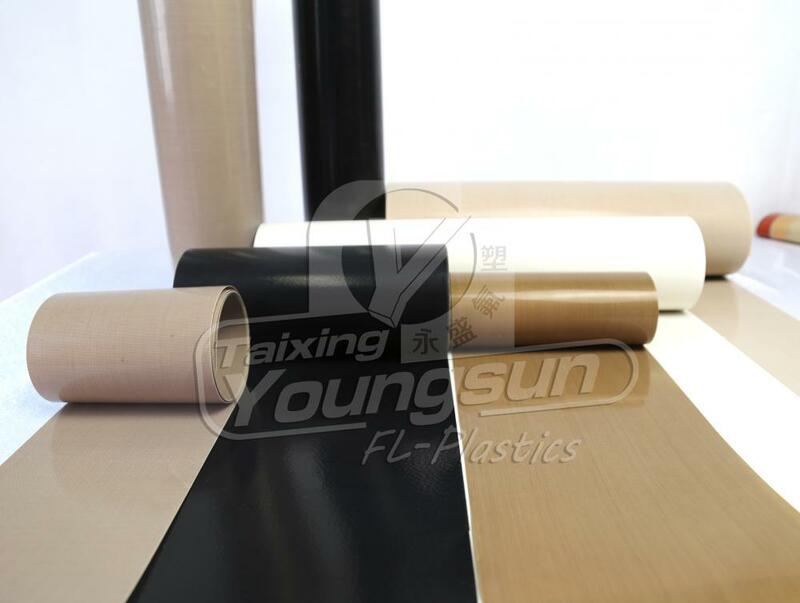 All the Ptfe Coated Glassfiber Cloth are quality guaranteed. We are China Origin Factory of Teflon Coated Fiber Glass Fabric. If you have any question, please feel free to contact us.